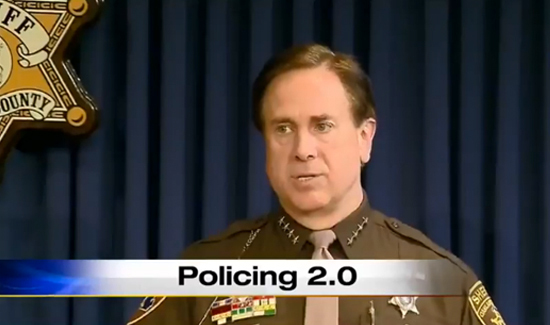 Oakland County Sheriff Mike Bouchard has unveiled a 12-point plan for police reforms. Bouchard says he doesn’t believe policing is broken but does need an upgrade—what he calls “Policing 2.0.—and his recommendations focus on enhanced training, boosting accountability, and weeding out problem candidates before they are hired. It’s an ice-breaker for law enforcement and legislative leaders because right now Bouchard and others feel law enforcement is not being consulted when reforms are proposed in Lansing or Washington. The plan also calls for the legislature to set training and hiring standards and $50 million to fund a police training center. Bouchard also wants to give departments greater access to background information for police applicants including polygraph exams and Internet accounts. As a former Michigan resident for many, many years, I suggest the reader consider the following: Mike Bouchard is (first and foremost) a politician who has vast experience in the political arena. Not only has he repeatedly been elected sheriff in a very left-leaning liberal county, he has sought higher office as both county executive and governor. His Democratic roots provide a consistent liberal message: the problem can be solved with MORE MONEY; local governments, local leaders and local communities are too stupid to manage their own affairs; BIG centralized government and centralized decision making is the cure to all that ails us. He is pandering to an audience much the same as does Rev. Al Sharpton – he is simply using different words to do it. His principal interest is likely neither the cops or the people he serves. Rather it is political power achieved through pandering.